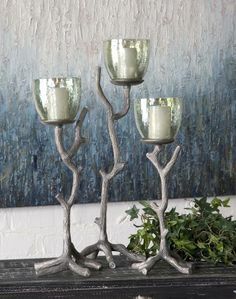 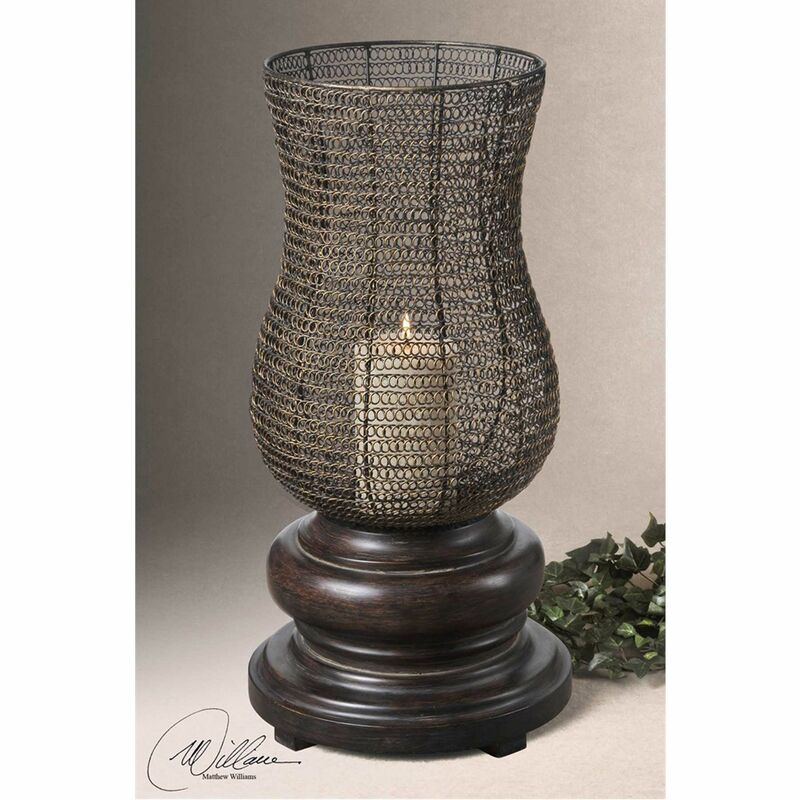 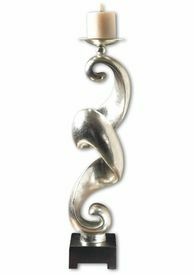 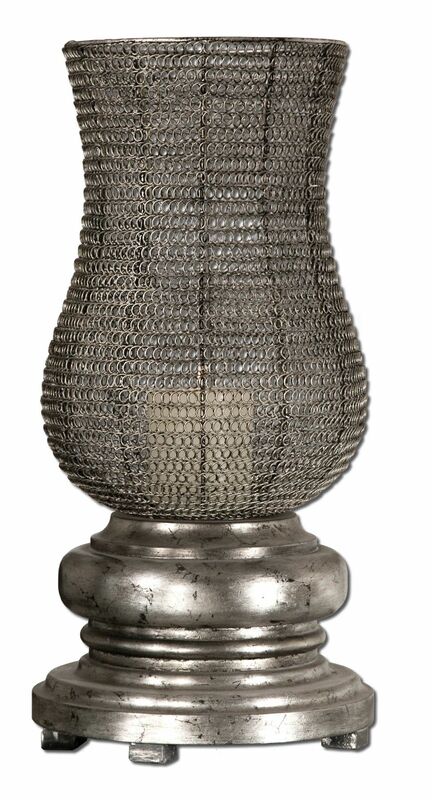 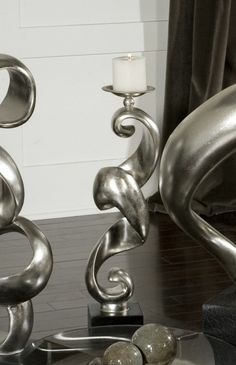 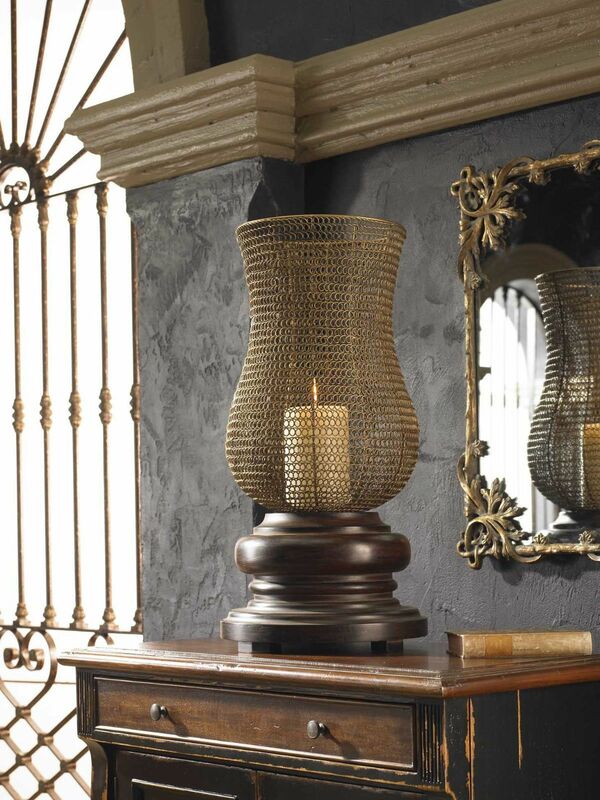 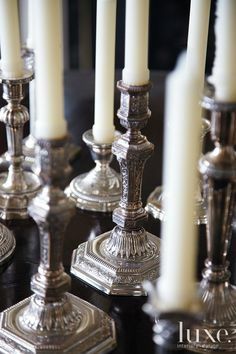 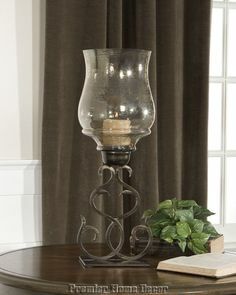 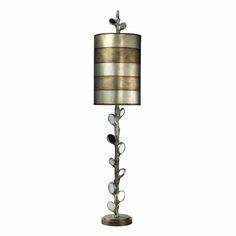 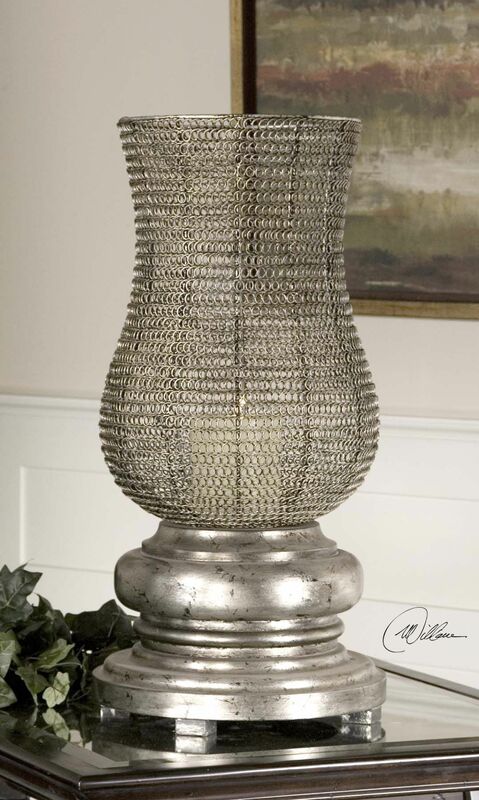 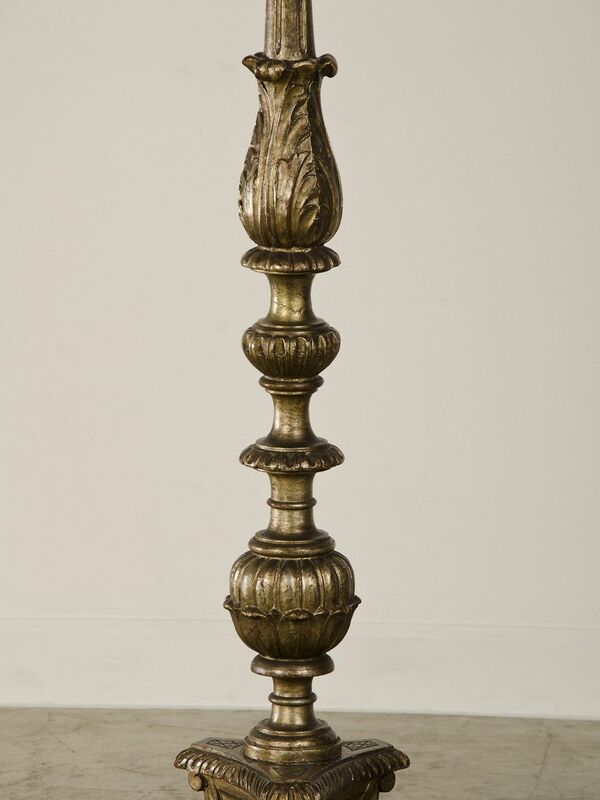 This Statuesque Candleholder Features A Antiqued Silver Leaf Base With A Woven Metal Globe Finished In Antiqued Silver Leaf. 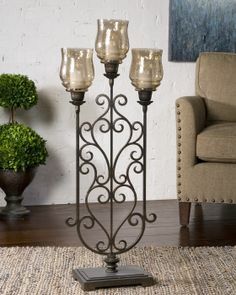 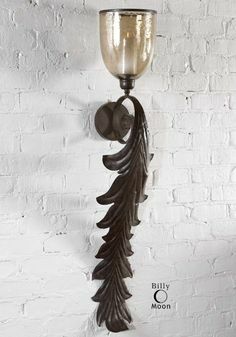 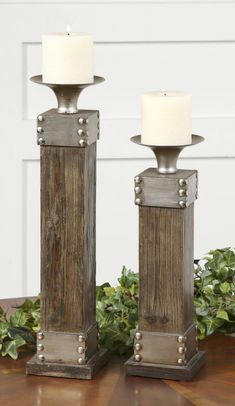 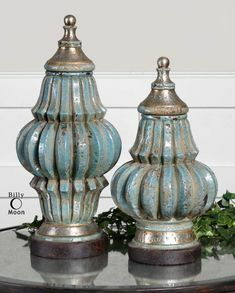 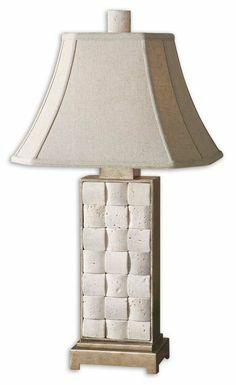 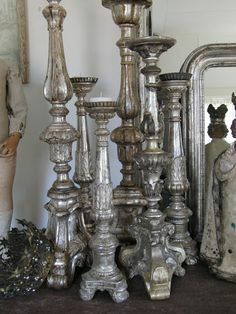 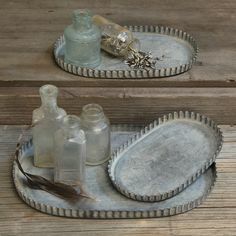 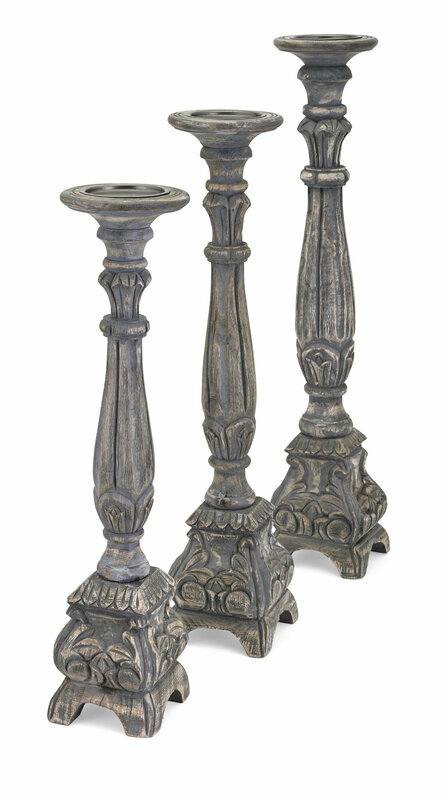 Large distressed candle holder to make a statement in any room! 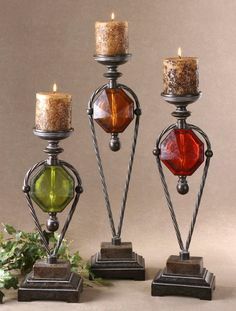 Uttermost Rohit Bright Red Candleholders. 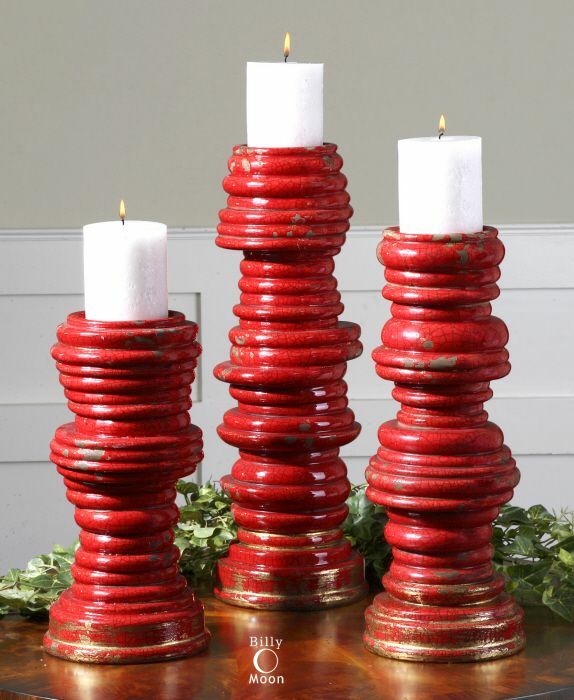 Distressed, crackled, bright red ceramic with antiqued khaki undertones and gold highlights. 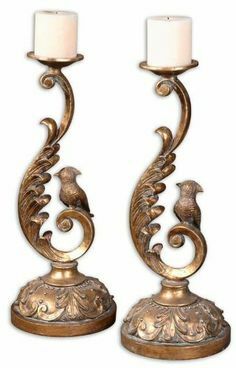 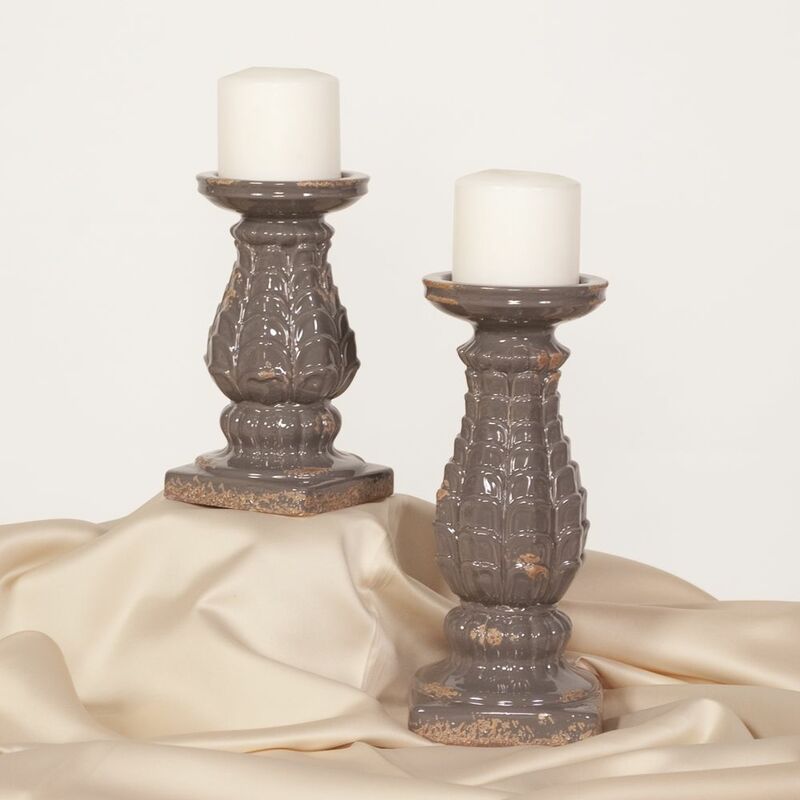 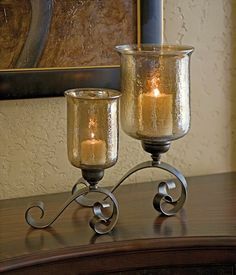 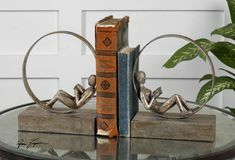 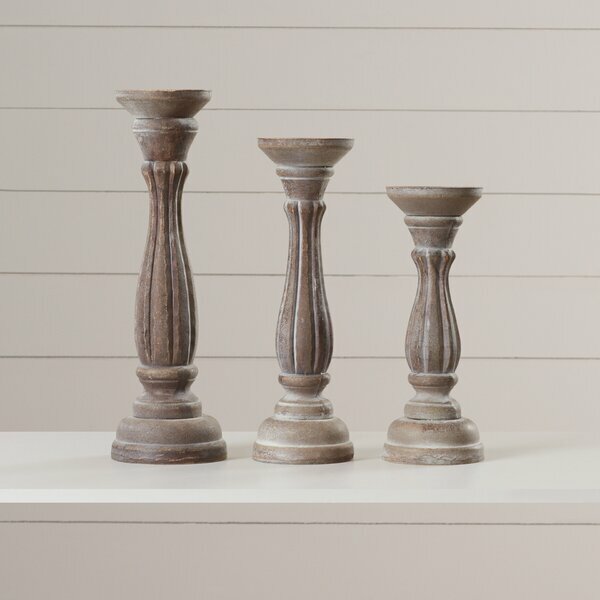 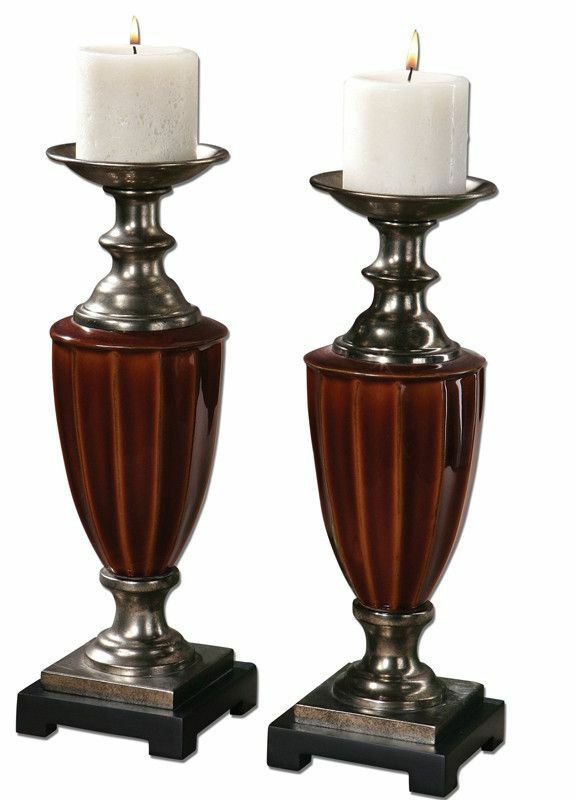 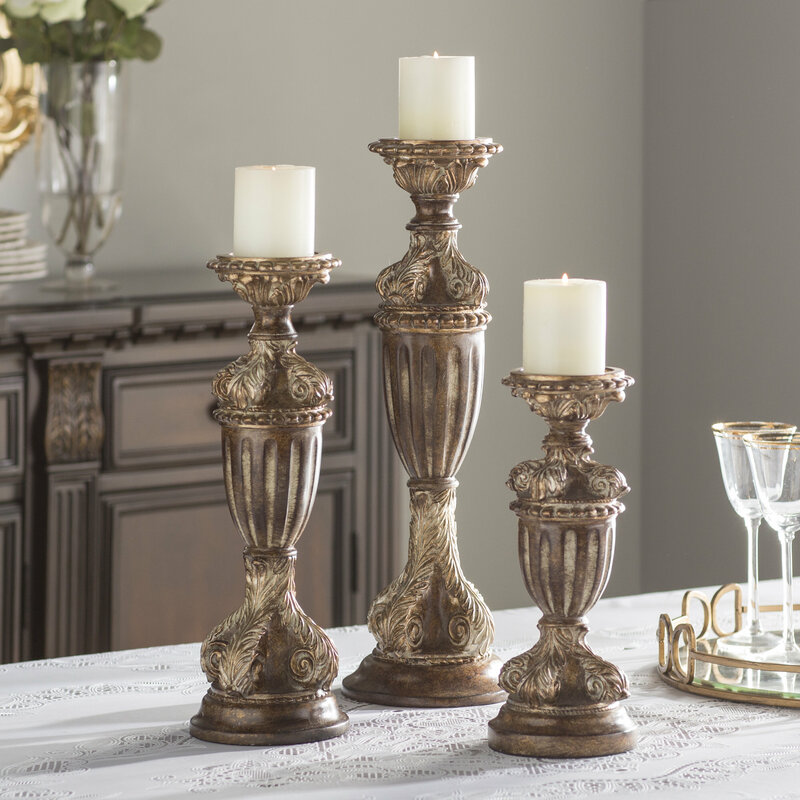 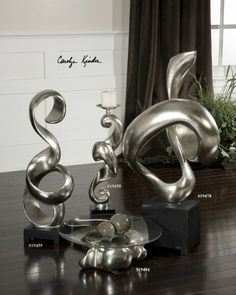 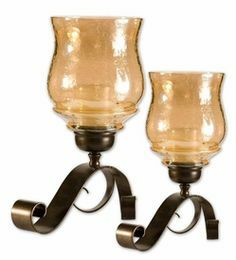 Off Joselyn Candleholders, Set of Two by Uttermost. 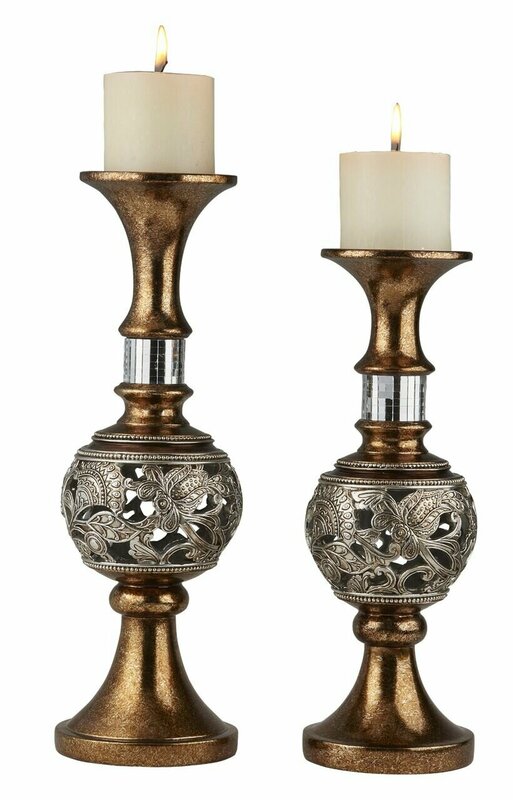 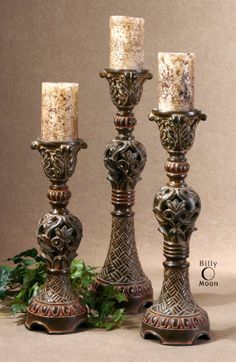 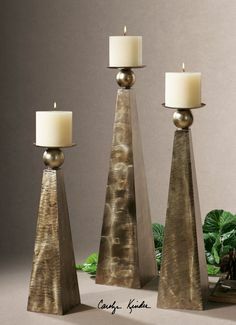 These decorative candleholders feature an antiqued bronze metal base with transparent amber glass. 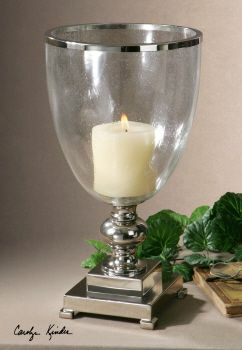 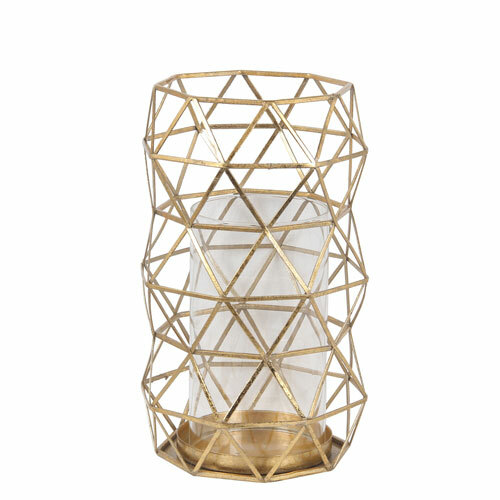 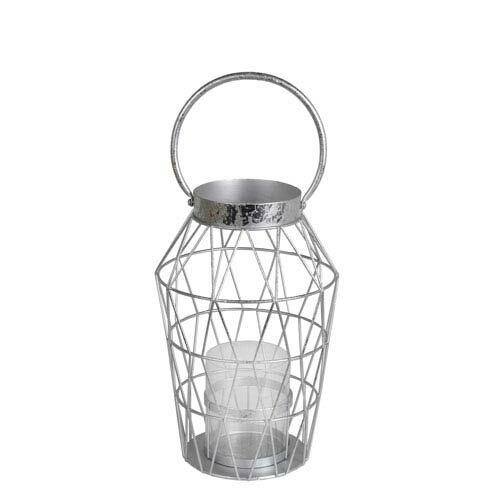 Handled Geometric Metal and Glass Candle Holder, Silver Leaf Finish, 16.5"